associated with Viber Media S.à r.l.. Learn more. Get the original unmodified version of Viber. 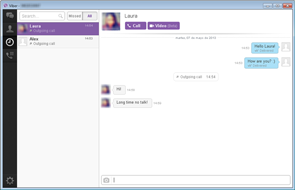 Viber is a Free to Download and Free to Use, chat app developed for Windows, Mac and Mobile operating systems. Viber users can enjoy making calls and sending messages, including internationally. Users of Viber can communicate with each other for free! Although largely used as a mobile app, Viber is also available for Mac and Windows OS! Absolutely all messages and calls sent between Viber users are completely free. With Viber, there is no difficult sign-up process. Viber uses your real phone number in order to identify you, and all of your calls will use your and your friends’ actual phone numbers. Viber has great features. Viber is available for free download. Viber users can send texts, photo messages, and make voice and video calls. All calling and messaging between Viber users is completely free, and there are no annoying advertisements on Viber! 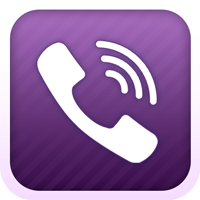 Viber allows you to make free international calls and there is an option to buy credits for making calls to land-lines. For convenience, users can also use Auto-Top-up to prevent running out of credits. 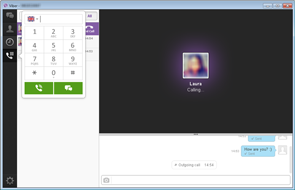 Users can sync Viber between their PC, Mac and mobile devices, and even switch ongoing calls between their devices. Viber is a versatile, innovative and convenient way to stay in touch with friends around the country and around the world. 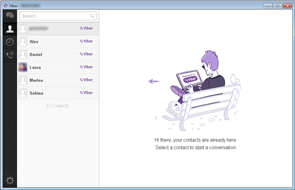 Viber is easy to set up on your PC, Mac or other devices. Calls are easy to swap between devices, making things even easier. Ranging from simple texts to sending photos to making high quality voice and video calls, Viber covers the gamut of great options. Best of all, all Viber users communicate with each other entirely for free! Viber is a registered trademark of Viber Media S.à r.l.. QikDownloads is in no way associated with Viber Media S.à r.l.. The QikDownloads Download Manager distributes the original unmodified software, obtained directly from Viber Media S.à r.l., and does not modify it in any way.